​In this one-hour style session, we focus on a few pieces of clothing in your closet, good pieces we can build on. I'll give you ideas and styling tips for a completed look, teach you how to accessorize successfully, and create a plan to build a cluster of coordinated pieces of clothing that includes a shopping list with tips on where to purchase needed items with how much you can expect to pay. After an hour, having a styled look will be a no brainer! You will have the tools to get out the door quick and focus on the day ahead. ​Why do I need a personal shopper? There could be many reasons for this. You could be in a rut, always buying the same thing and never feeling like it works for you. Maybe you become overwhelmed when you walk into a store with so many things to choose from, and not knowing where to begin, you become frustrated. Perhaps you have a big event or new job coming up and you need to feel prepared. Or, you just feel clueless in general about how to put yourself together and you need a little guidance. Having someone with an objective and expert eye looking at your wardrobe with you can make all the difference and answer many questions. Ready to give it a try? Exclusive and private online closet with the purchased items uploaded and styled - up to 12 clothing items and 10 different looks. ​You're BUSY! You work hard and need to look great. Maintaining a wardrobe that keeps up with you requires constant maintenance, kind of like your car. You've got to tune it up regularly, wash it, put gas in it and it will take you where you want to go. Miss a few oil changes, skip the new tires, and pretty soon you find yourself with an unreliable vehicle that leaves you feeling unsure whether or not you'll make it to your destination. Your clothes are a vehicle to get you where you want to go. Your wardrobe requires quarterly maintenance to keep you looking great, confident, and in control of your life. But who has time to go shopping? Wouldn't you rather watch a game than go to a store? A virtual stylist is more affordable than you think...and a lot more fun than buying tires. Especially when you can do it on your cell phone while watching the game! It's pretty simple. 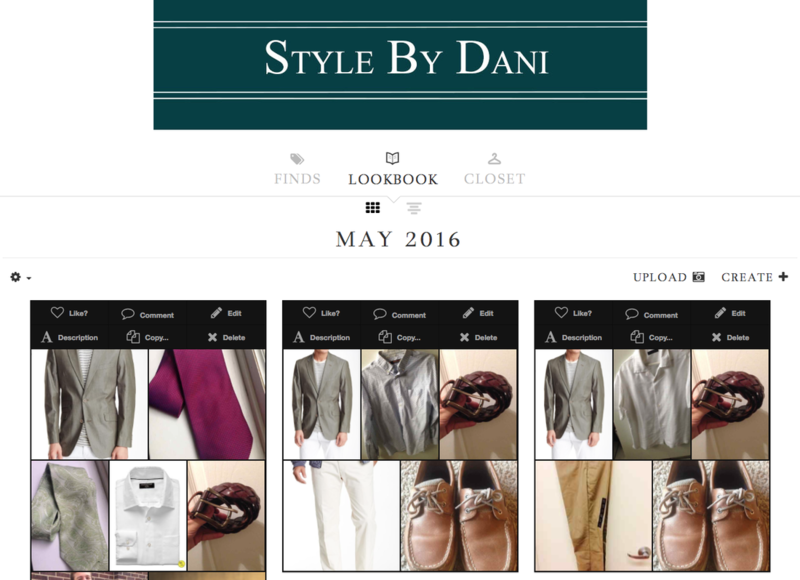 Take my on-line style assessment and download clothing from your current closet. Yes, I can see untapped potential in what you already own! Each quarter I send you new ways to wear your current clothes, plus suggestions for new pieces to add. If you like the new items, click on the link to purchase, and in a week, and in a week you've got yourself some new threads.... hand-picked especially for you, your style, shape, color, and sent directly to your e-mail. In this one-hour style session, we focus on a few pieces of clothing in your closet, good pieces we can build on. I'll give you ideas and styling tips for a completed look, teach you how to accessorize successfully, and create a plan to build a cluster of coordinated pieces of clothing that includes a shopping list with tips on where to purchase needed items with how much you can expect to pay. After an hour, having a styled look will be a no brainer! You will have the tools to get out the door quick and focus on the day ahead. You're BUSY! You work hard and need to look great. Maintaining a wardrobe that keeps up with you requires constant maintenance, kind of like your car. You've got to tune it up regularly, wash it, put gas in it and it will take you where you want to go. Miss a few oil changes, skip the new tires, and pretty soon you find yourself with an unreliable vehicle that leaves you feeling unsure whether or not you'll make it to your destination. Your clothes are a vehicle to get you where you want to go. Your wardrobe requires quarterly maintenance to keep you looking great, confident, and in control of your life. But who has time to go shopping? Wouldn't you rather watch a game than go to a store? A virtual stylist is more affordable than you think...and a lot more fun than buying tires. Especially when you can do it on your cell phone while watching the game! It's pretty simple. Take my on-line style assessment and download clothing from your current closet. Yes, I can see untapped potential in what you already own! Every two months I send you new ways to wear your current clothes, plus suggestions for new pieces to add. If you like the new items, click on the link to purchase, and in a week, and in a week you've got yourself some new threads.... hand-picked especially for you, your style, shape, color, and sent directly to your e-mail.